Philip Pullman is an author widely known for his children's books The Dark Materials series. The Golden Compass was made into a popular movie that I very much enjoyed. He has at long last come out with at sequel to these books, The Book of Dust, this fall. However, it is another series of Philip Pullman's that is dear to my heart, that is one of the few set of books that I want to reread. The four books in the Sally Lockhart series are books that I would love for everyone I know to read. Reading them is an experience that I long to talk about with my other book loving friends. Maybe I should start gifting them to ensure that. I couldn't possibly pick out just one to feature, so I am including descriptions for all four books. You can buy them as a boxed set, which would make a great Christmas gift for readers aged 10 to 110. 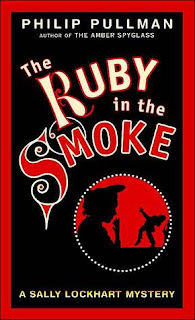 The four book titles, in order of publication, are The Ruby in the Smoke, The Shadow in the North, The Tiger in the Well, and The Tin Princess. 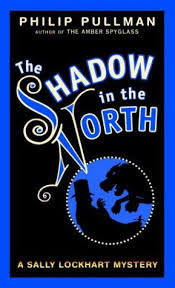 The Ruby in the Smoke and The Shadow in the North were made into movies in 2006 and 2007 by the BBC and starred Billie Piper, of Doctor Who fame. I haven't seen these movies, a conscious decision to not risk spoiling what are treasured reads for me. I'm wavering a bit on that decision these days, since Billie Piper does portray Sally. Below, I have a mixture of jacket descriptions and my reviews. For #1, The Ruby in the Smoke, and #4, The Tin Princess, I have given the jacket descriptions. 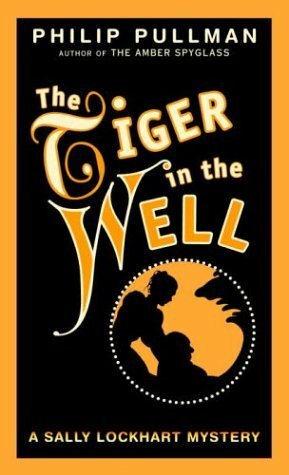 For #2, The Shadow in the North, and #3, The Tiger in the Well, I have given my shortened reviews. I found the jacket descriptions for #2 and #3 rather lacking in, well, description, and that is the reason for the reviews instead. I've also included two covers for each book, both owned by me. 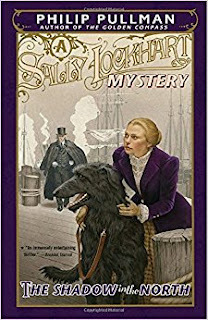 Pullman is a great storyteller--characters, plot, setting are all beautifully and deftly developed. The Sally Lockhart series is as engaging a mystery series as you'll find. 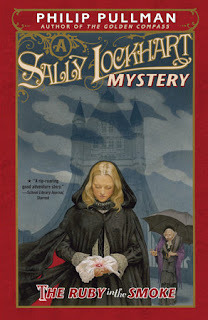 Sally, who is now 22, and her friends/business partners are a delightfully intelligent group who come upon a major mystery that joins a magician's trouble with some shadowy pursuers and a retired teacher's loss of investment money. 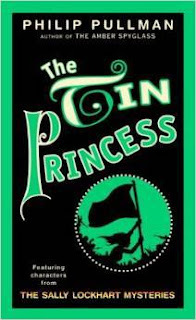 Something insidious is entrapping Victorian England, and Sally's life becomes dependent upon discovering its source. 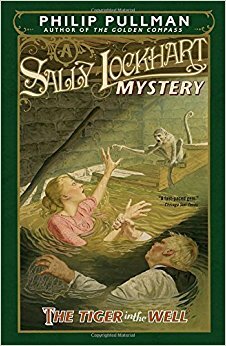 Nail-biting best describes the third book in the Sally Lockhart mysteries by Philip Pullman. Sally Lockhart, now 25, endures much in The Tiger in the Well, as her life is turned upside down by an unseen and unknown enemy. 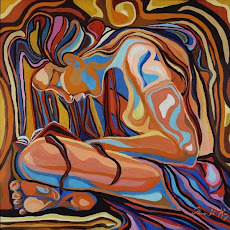 At the center of the chaos is the attempt to take Sally's daughter, Harriet, from her. Two of her staunchest allies, Jim Taylor and Webster Garland are away on a trip to South America, and so are completely unaware of Sally's crumbling world. 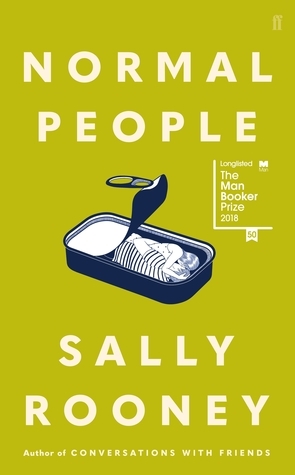 A man is claiming to be Sally's husband and accusing her of abandonment, seeking her assets and her child. The plot thickens and thickens and thickens again in this unnerving mystery. 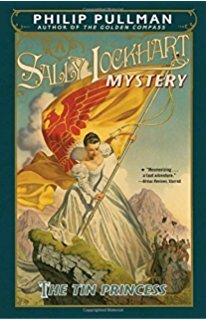 Help comes from unexpected sources, but it is ultimately Sally alone who must face an evil from her past and confront its secrets. Once again, Sally Lockhart must prove herself strong and able in a world where women are considered anything but. What's in My Christmas Bag of Books This Year?